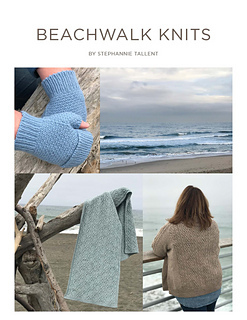 Beachwalk Knits is a collection from designer Stephannie Tallent of Sunset Cat Designs. 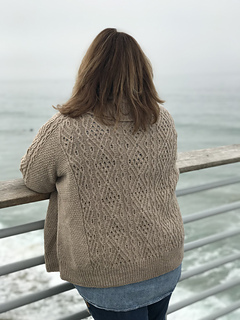 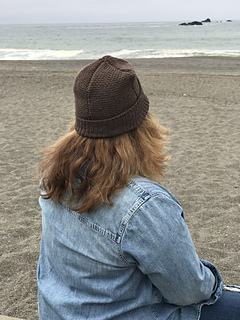 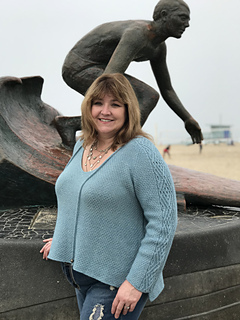 Inspired by the beauty of the California coast, Beachwalk Knits is a tour of beaches from Southern to Northern California through hand knitting patterns. 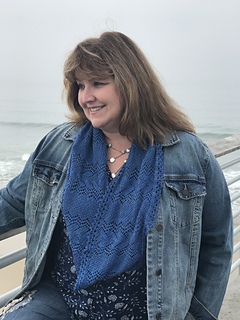 Patterns include a textured pullover, an Aran Lace cardigan, an Aran Lace stole, a cowl, two hats, and fingerless mittens. 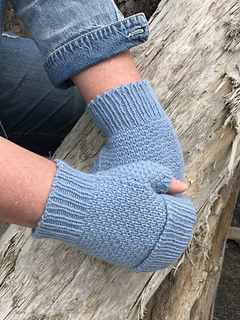 Techniques include Aran Lace cables and texture. 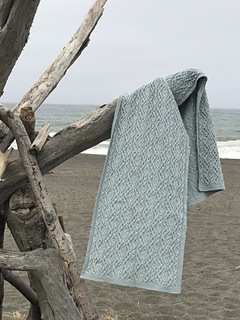 The colorways evoke the beach: warm neutrals of sand and cream punctuated by subtle but rich blues. 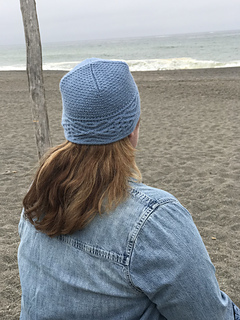 The full collection is available as both an e-Book, available on Ravelry, and individual PDFs.